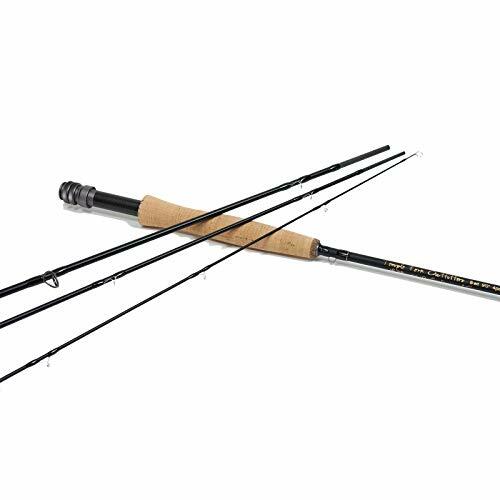 Tailwater Outfitters Toccoa Fly Rod: High Performance 4 Piece, Fast Action IM8 Graphite with Rod Tube. The best fishing is always in the water that's near you. For most of us, that's in the lakes, ponds, rivers and streams found within a few miles of where we live. The fishing is always sweet, and there is never a shortage of opportunity or excitement. St. Croix ensures you make the most of your outings with the rods engineered for every angler, style and species. Triumph travel spinning rods offer 4-piece designs and are built for savvy anglers seeking the best in performance, value and convenience. Each model is equipped with a padded nylon soft case for added protection when traveling. TRIUMPH TRAVEL SPINNING RODS feature: Fuji DPS reel seat with frosted silver hoods on spinning models. Fuji ECS or TCS reel seat with frosted silver hood on casting models. Premium-grade cork handle. Two coats of Flex-Coat slow cure finish. Outstanding strength, sensitivity and hook-setting power. Designed in Park Falls and handcrafted in Fresnillo, Mexico. - It's fast action for longer casts, handling windy conditions, and has backbone for determined fish. - Made from IM8 graphite (carbon fiber). It's designed for maximum sensitivity and durability. So you can focus on presentations and fighting fish, not breaking your rod. - Your rod will be protected in a four compartment cordura rod tube. Each rod section has its own cozy compartment to feel safe in. - Half well, high quality cork handle. Comfortable and avoids fatigue for casting-heavy days. The best fishing is always in the water that's near you. For most of us, that's in the lakes, ponds, rivers and streams found within a few miles of where we live. The fishing is always sweet, and there is never a shortage of opportunity or excitement. St. Croix ensures you make the most of your outings with the rods engineered for every angler, style and species. Durably sensitive with impressive power, Triumph rods are built for savvy anglers seeking the best in performance and value. TRIUMPH SPINNING RODS feature: Premium quality SCII graphite. Fuji DPS reel seat with frosted silver hoods on spinning models. Fuji ECS or TCS reel seat with frosted silver hood on casting models. Two coats of Flex-Coat slow cure finish. 5-year warranty backed by St. Croix Superstar Service. Designed in Park Falls and handcrafted in Fresnillo, Mexico. they're easy to pack up and take on the go in the backcountry! the fight from a small to medium-sized trout. 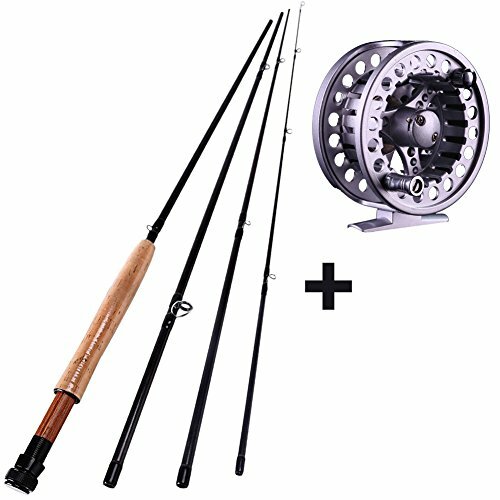 The MH Rod combo features a medium fast action fly rod with a smooth progressive action with a alloy fly fishing reel. The best fishing is always in the water that's near you. For most of us, that's in the lakes, ponds, rivers and streams found within a few miles of where we live. The fishing is always sweet, and there is never a shortage of opportunity or excitement. St. Croix ensures you make the most of your outings with the rods engineered for every angler, style and species. For such cases St. Croix designed its Legend Elite Freshwater Fly Rod. Highly versatile and incredibly responsive, the Legend Elite series provides exceptional feel, balance and control. Regardless of the environment, you'll enjoy precision placement with each cast of this ultra-premium rod. Integrated Poly Curve (IPC) tooling technology. High-modulus/high-strain SCV graphite with FRS and carbon-matte scrim for unparalleled strength, durability and sensitivity. Flora-grade cork handle. Two coats of Flex-Coat slow cure finish. Rugged rod case with handle and divided polypropylene liner. Fuji Alconite stripper guides with polished frames. Hard chrome, single-foot fly guides on 3-6 wt. models. Hard chrome snake guides on 7-10 wt. models. REC hard-anodized, machined aluminum reel seat with a stabilized tiger (fiddleback) maple insert on 3-6 wt. models. The improved Imperial USA fly rod delivers elevated performance at a realistic price. Handcrafted exclusively in the U.S.A., these rods are without equal in performance and value. 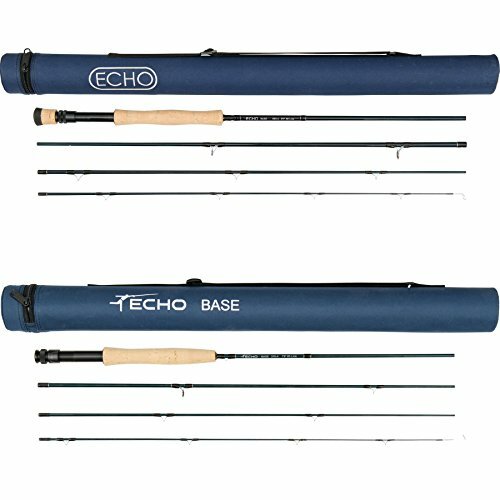 Features include a unique lightweight tip that reduces angler fatigue when the rod is held high for long periods of time and SCIV graphite in lower sections. Sea Guide snake guides with black PVD coating for extra hardness and increased smoothness. 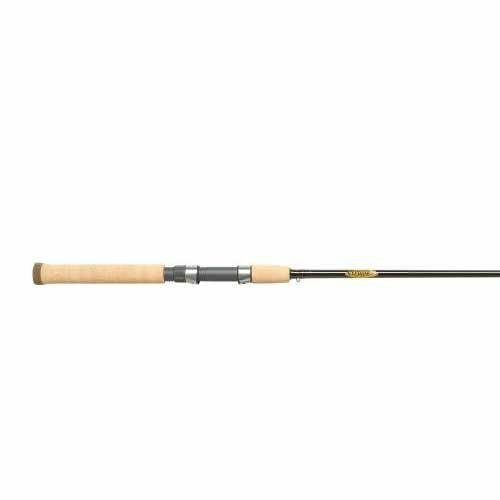 St. Croix Rio Santo fly rod St. Croix die-cast aluminum fly reel with adjustable disc drag 20 lb. fly line backing St. Croix weight forward floating fly line and tapered leader pre-installed. Protective rod & reel case with handle and divided polypropylene liner. 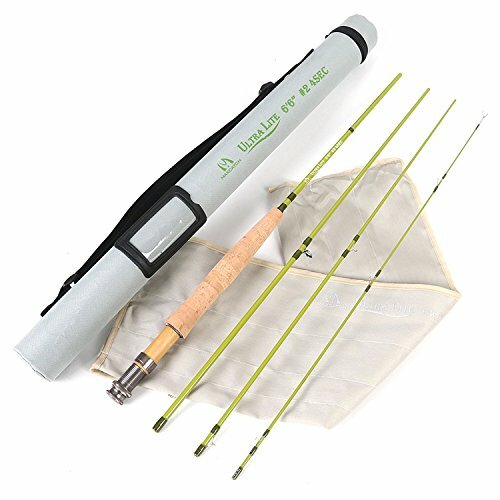 really cutting-edge high-tech fly rod that can compete with the top brands in the market. friendly, easy-to-reach customer service support. Strong. Both for launch a big streamer into heavy wind, and also a smallest fly in a close-in cast. developing team and fly rod, fly reel manufacturing factory built up. made in China quality with a factory-direct price. All Maxcatch gears come with at least a 1-year warranty. 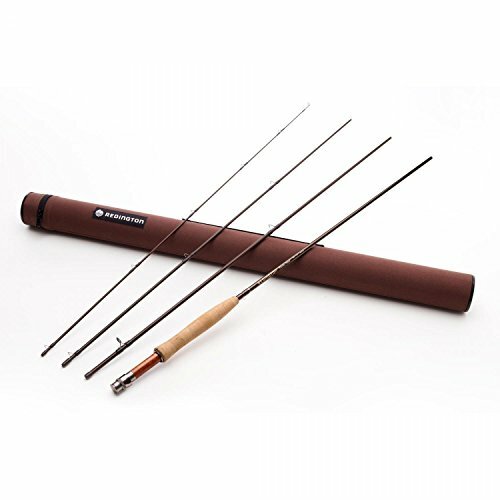 ONE-YEAR-WARRANTY and LifeTime Repairing Warranty - Maxcatch as a 13 years fly rod factory, offer "No Hassle" warranty for all our rods for one year. 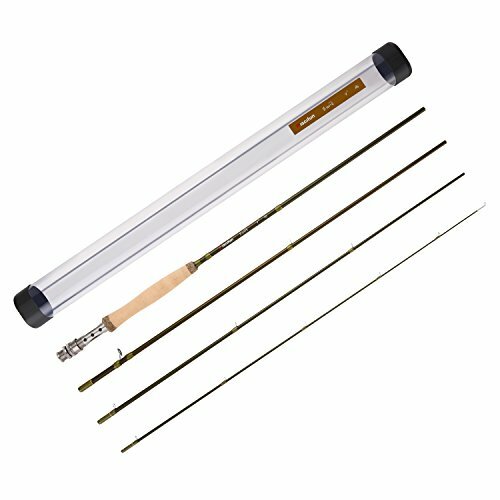 If you are not 100% satisfied with our rod, you can return it in any time. And we also offer lifetime repairing for Maxcatch rods.